“Why Turkey? !” many people asked us when we booked the trip. Frankly I myself din’t know what to expect. All I knew was there would be a lot of culture to explore and of course drool worthy food! I wanted to be surprised by what I would see. Really, whats the fun in exploring the place so much before going, that you feel you have already been there! So I left all the researching to travelling partner. You don’t want to know in detail about the logistics and my tour itenary(if you do, let me know). So let me tell you about my impressions of the city. Around our hotel. I had created a picture of Turkey in my mind. That which had lot of hijab-ridden women, narrow streets, some small tea shops, bazaars, loud prayer calls around everywhere and also not-so-clean streets. I am glad I was so wrong! 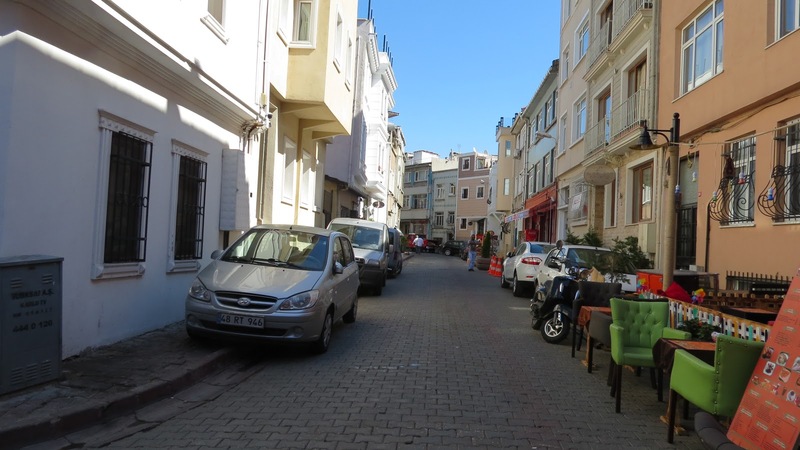 The old town of Sultanahmet still has the same cobble stoned roads that were laid in the Ottoman era. 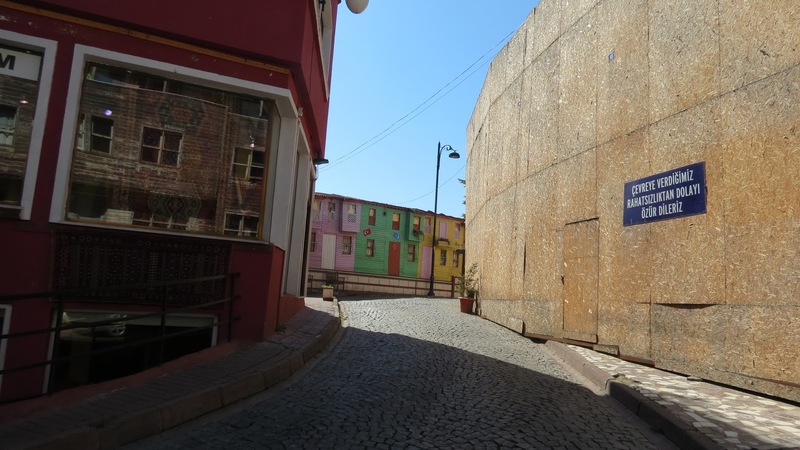 I had imagined the part about narrow streets right, the streets so narrow that only one car can pass at a time and the people on foot have to stick themselves to the walls to allow the vehicle to pass! Strangely that gave the feeling of an exotic foreign city! But the place is very modern with swanky cars, big restaurant chains, charming dress shops, people all dressed in modern clothes, I did not spot one veiled woman, almost everybody speaking english(atleast in Istanbul). Also another factor that was very apparent was how friendly the people there are. The city has an exotic appeal because of the east meets west culture, sort of like the appeal a mixed race person brings. There is a certain charm around.. I cant explain 🙂 It has the evidences of a rich but torn history everywhere, people respect the city’s history, it is very visible but also we can see that people have adapted to changing times and have welcomed modernization with open arms. This confluence has brought out the best in its people, it looks like that to me. I loved interacting with people there. Well my first impressions were very vivid then? But I can still say I have said nothing about it and concealed most of it for you to make your trip. You must check it out and be blown yourself. The next few days in Istanbul we saw the Hagia Sofya, Blue mosque, Topkapi palace, Basilica Cistern, sat around in Sultanahmet square, walked a whole lot on Istiklal street, shopped quite a bit there and rode the trams and the trains. I am going to make a special mention about the absolutely drool worthy food and Dolmabache palace and harem section in Topkapi palace. 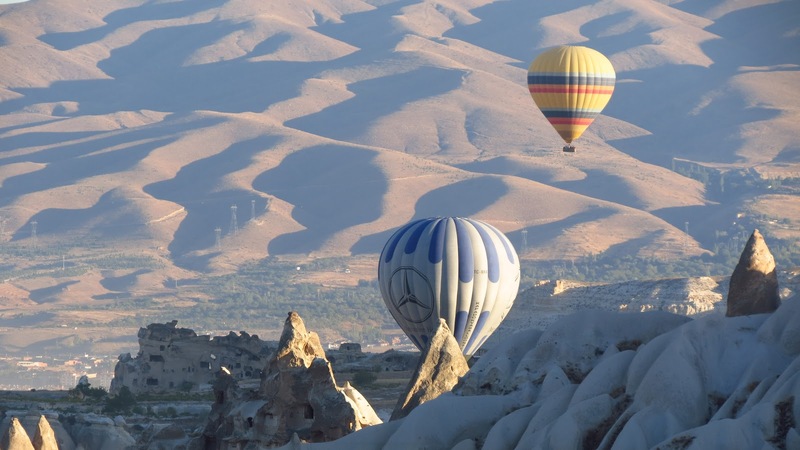 When we had first thought of making a trip to Turkey, we were planning on visting only 2 places. 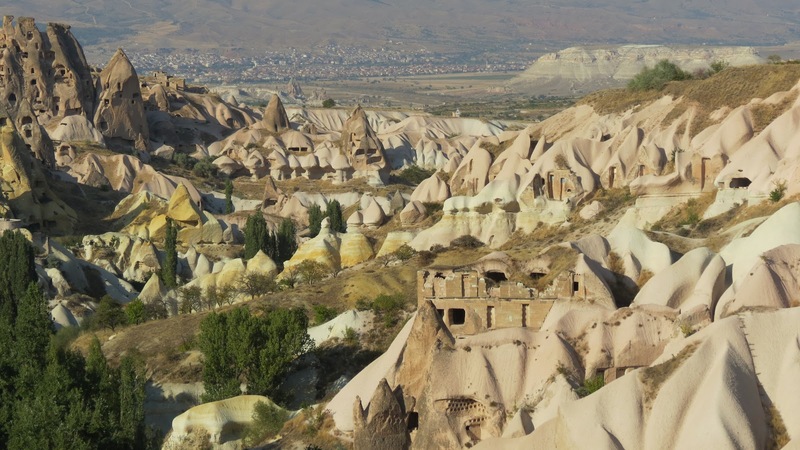 Istanbul was first on the list but for the second place it was going to be either Cappadocia or Pamukkale! Lets see where we went! 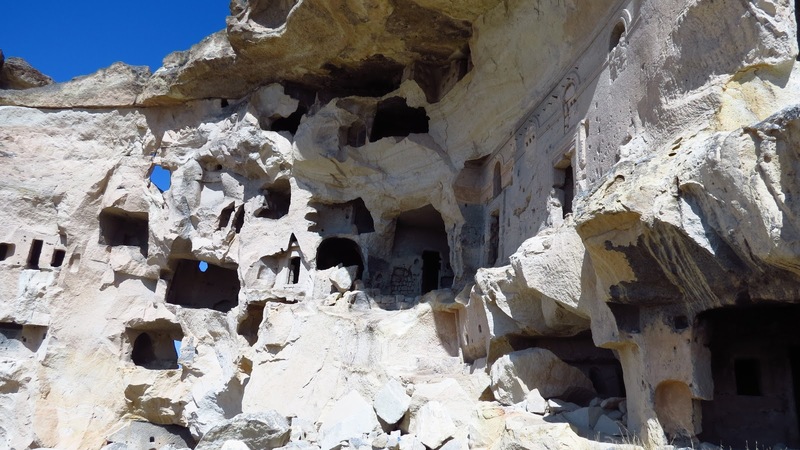 We spent the next couple of days climbing these rocks, walking in the valleys between them and exploring the caves formed inside these where people lived till as recent as 1975, only when they were given permission to build concrete made houses. There are many people in towns who still live in some such houses. Infact we stayed at a hotel built inside a cave, it was such a cute little nest. Also, you dont need a AC or a heater there as the temperature is constantly pleasant 24 hrs a day, 365 days a year no matter how scorching hot or how freezing cold it is outside! 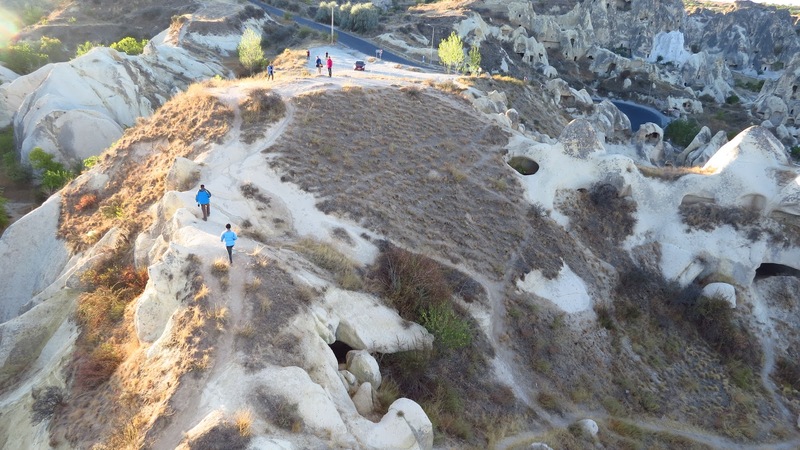 A special mention to Balloon riding and Kaymakli underground city here. 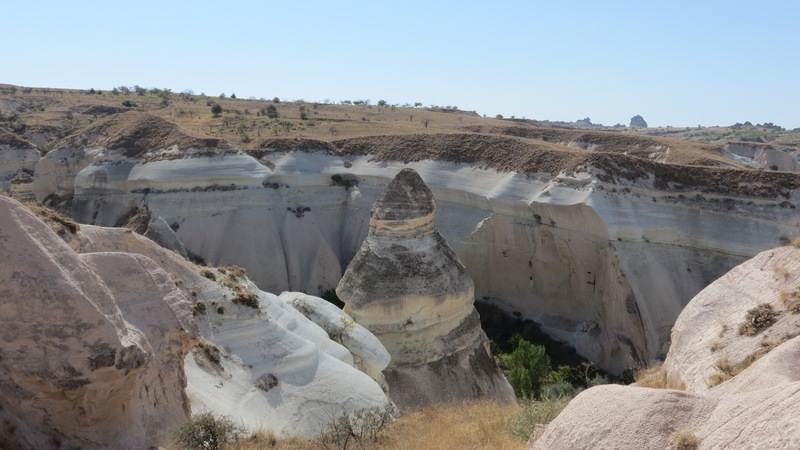 After 3 days in Cappdocia when it was time to leave, I was in love with the little town of Urgup where we were nested! After a month, I still miss Urgup the most. I dream of walking in the quiet moonlit streets between our hotel and the bustling tourist dotted area where we had a ball each night, spotting small boys playing football, watching women perform their daily chores and chatting away with our host. It is definitely the closest to my heart of all the places I have visited so far. I feel a heaviness in my throat and a stone in my stomach when I think of that place in comparision of where I am now!